When is the last time you made a difference? 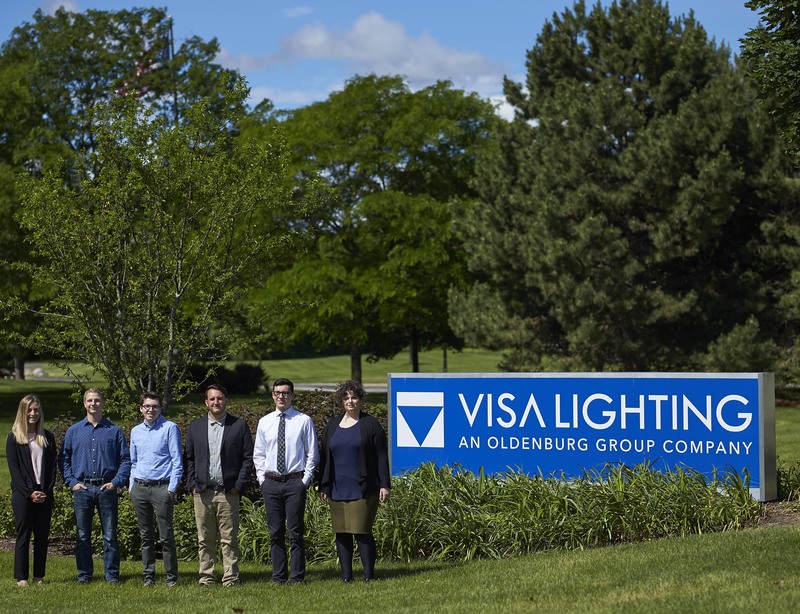 Visa Lighting employees are committed to the belief that our customers MUST see us as the best manufacturer of architectural lighting fixtures. To support this mission, we are always looking for team players who can make a difference. Every department must collaborate and communicate to complete projects to the best of their ability, and that means filling our departments with enthusiastic, resourceful employees. If you are interested in growing your career with a leader in the lighting industry and have experience in our open positions, we would like to hear from you! We believe in supporting American manufacturing jobs and providing employment opportunities to skilled workers in the Milwaukee area. We care about the wellbeing and satisfaction of our employees. Visit our Benefits page to learn more about employee programs, wages, insurance, work/life benefits, our spacious facility, and more. Applying for jobs at Visa Lighting is now easy and intuitive. For more information about open positions and to submit a resume go to our new online job board website. Select the link for the job opening, create an account, and follow the prompts to submit a resume and cover letter. Visa Lighting is an Equal Opportunity Employer of Protected Veterans and Individuals with Disabilities / Affirmative Action Employer. We comply with Federal Equal Employment Opportunity protections against hiring discrimination.